I think Semi FWCC is more comfortable than half because of how the weight is distributed, despite the fact that it’s a one shoulder carry. A note on terminology, both these carries have one horizontal pass (a pass that goes under one of your arms, across the baby tucked under baby’s bum for a seat and then under the your other arm) and one cross pass (over your shoulder, diagonally across the baby, under/between the baby’s leg, and then under your other arm) and that makes them great for leg straighteners. We can look at Semi FWCC compared to FRTR soon to compare rebozo and cross passes. I’m wearing a size 3 Pavo Syzygy. This is my friend Jac. Jac is a total babe. She has enviable style. I love her look. And the most amazing thing about it, is that she pulls it off effortlessly. I love her pompadour and bright colors. Not to mention, the woman knows the power of a great pair of sunglasses! I’m such a neutral girl, oddly enough, I was walking on the wild side myself when we met up last weeeknd. My bold fashion stylings were born more from desperation than creativity, at this point I’m just trying to make it through the next 5 weeks without buying any new clothes. But she has me feeling inspired to add some color and flair to my wardrobe. Think I’ll give it a shot this weekend! I’ve got plans both Saturday and Sunday, I’ll have to see how creative I can get, without going shopping of course! How do you liven up your look on the cheap? The countdown begins! 10 weeks until my estimated due date has me thinking about newborn Babywearing! 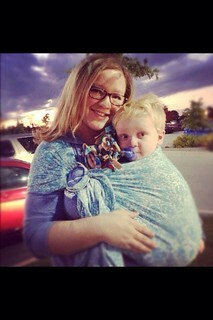 I was so lucky to find Babywearing so early with Henry, we lost no time getting started and it quickly became one of my greatest joys. No need to reinvent the wheel, for the ultimate comprehensive guide to choosing a carrier for your newborn visit my friend Meredith’s blog Becoming Mamas. Because Meredith covers the topic so thoroughly, I’m not going to review all the carrier options, I’m only going to talk about my favorite ways to wear a newborn including pros and cons of my favorite carriers. 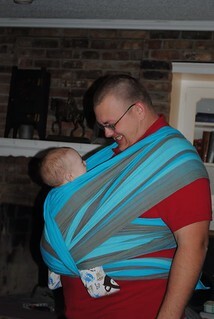 Pros: Ring Slings are fast easy to use carriers. Even in these old pictures I see the not perfect positioning (now I prefer to cup the shoulder with the sling a bit more) and think “not so bad.” There is not much of a learning curve associated with learning to use ring slings. I always recommend Sleeping Baby Productions slings and website for new wearers because her prices are great, her reputation for quality is top notch and her tutorials are safe and easy to follow. 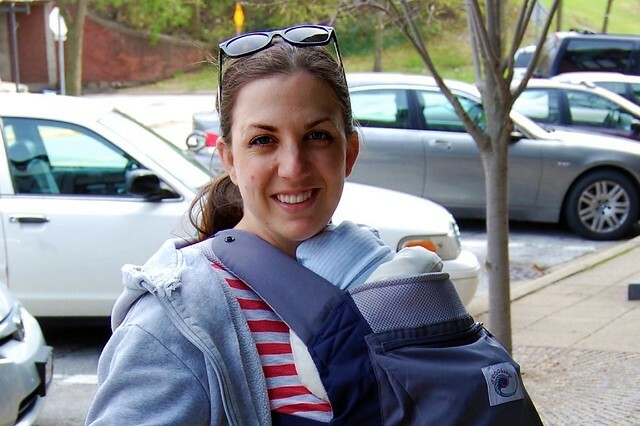 Ring Slings are the ultimate poppable (meaning easy to “pop” baby in and out) carriers; which is so nice when you are nursing every 2 hours and changing 20 diapers a day. Cons: Ring Slings are one shoulder carries, so you might keep one hand on your newborn until you feel more comfortable and therefore you may feel like it is not truly a hands free carrier. 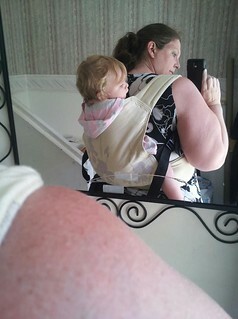 As baby gets bigger you may not be comfortable for long term wearing with a one shouldered carrier. Pros: I can’t imagine I have to tell you that woven wraps are my favorite carriers. I love them, I think they are versatile because they can be tied in many ways, adaptable because they can be used with newborns and toddlers comfortably, comfortable because the woven fabric is not too hot and breathes easily, and customizable because you are trying a simple piece of cloth to fit your body exactly. Woven wraps can be used for front, back and hip carries. Cons: Tying a woven wrap is a skill, and like any skill it takes practice. But the learning curve is steep, it seems intimidating at first, but soon it is second nature. Woven wraps can be expensive; they are specially woven to carry babies, and the quality of the fabric is better than what you can find at your local fabric store. However there are always to Babywear on a budget, even with woven wraps. Pros: the best thing about stretchy wraps is they are widely accessible, pretty easy to learn to use and cheap! Cons: I find stretchy wraps very hot to wear and only comfortable with very small babies (like newborns!) there fore they aren’t favorites for me, but I love them for bring wrapping to a larger audience. Pros: easy to use, easy to wear, easy to find in stores. Cons: Likely needs an additional accessory for use with a tiny newborn, either an infant insert or a rolled up blanket to prop baby up so that the fit is correct. I also think you sacrifice some comfort in exchange for ease of use, but I am a wrapper at heart, my husband who prefers buckle carriers finds them more comfortable, so really, it just boils down to personal preference. I was chatting the other day with a new friend and she mentioned she was bummed that she wouldn’t be able to wear her baby when it was born. 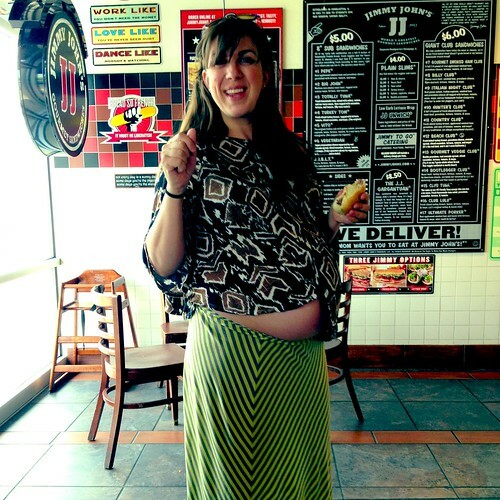 She said that she’d seen the size charts and they didn’t make carriers that would fit her. I told her she’d been lied to! The baby wearing community is made up of caregivers of all sizes, and I personally know loads of plus sized mamas and big and tall dads carrying on wearing their babies. This guide is for her, and for anyone else who gets frustrated thinking there are no options. There are options! And here they are. SSC’s are carriers that buckle on, no tying involved, Mei Tais have a structured body like an SSC but the straps tie instead of buckle. My friend is right about one thing, readily available big box brands like the Ergo aren’t the best bet. They do sell a waist extender, but my mama friends tell me it’s an uncomfortable and ill fitting option. I’m a big fan of the Ergo for its wide availability and proper ergonomic design, but we can do better. Boba– I’ve had mixed reviews from friends on this one; some people love it because it fits with no extender, and some people don’t love it because it fits, but uncomfortably. If you are interested in this one, try to find a baby wearing meeting or big box store like Babies R Us with a tester and try it on for fit and comfort. Babyhawk is not available in Babies R Us or Target, but they are available on Amazon which makes them a pretty darn accessible carrier. They make MT’s and SSC’s. Plus size straps are available on the MT’s, and though they are not available on the SSC’s, the straps are adjustable enough that you may be able to get a good comfortable fit. Though not available on Amazon or in big box stores DidyTai, HopTye are two brands I trust that make mass produced Mei Tais. This is where we take our first detour down the rabbit hole. 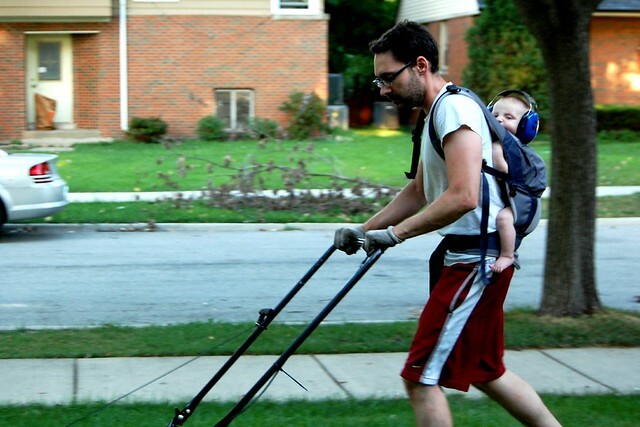 The baby wearing world is chock a block full of small businesses making carriers. And the great thing about these carriers is that they aren’t mass produced, so you can specify some of your wants and needs; not just plus size straps, but fun colors and patterns too. 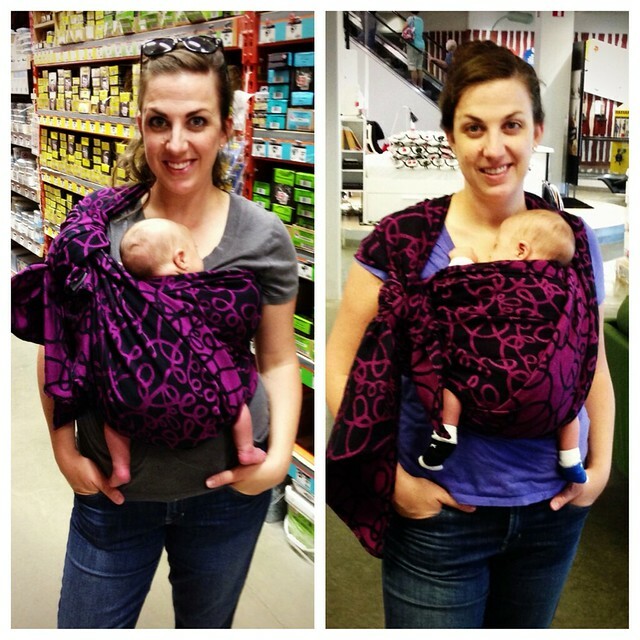 Bamberoo and Kinderpack are two semi custom carrier makers who make SSC’s (and MT’S) who have been recommended by friends as being particularly comfortable for plus size mamas and dads. And the great thing about buying from a small business is that they are often available and eager to answer your questions and work with you to help you find the very best fit. There are a number of custom SSC and MT makers as well, I’ve had carriers from Olives and Applesauce, Metamorphosis and Dream Carrier come through here (there are many more makers, but these are the only ones I’ve had personal experience with). This is a great option if you don’t mind doing a little leg work; this often involves stalking for a spot and picking your own fabric. 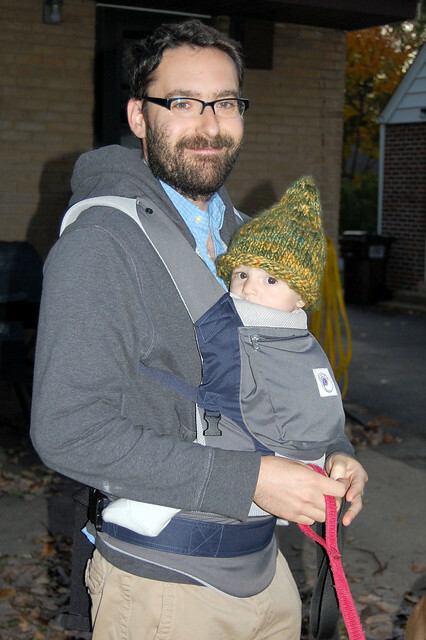 This option might not appeal to the new babywearer, it sure didn’t appeal to me when I was starting out, but if you want a truly custom carrier you can have one made starting around $200. 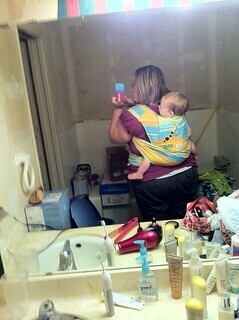 I love ring slings! 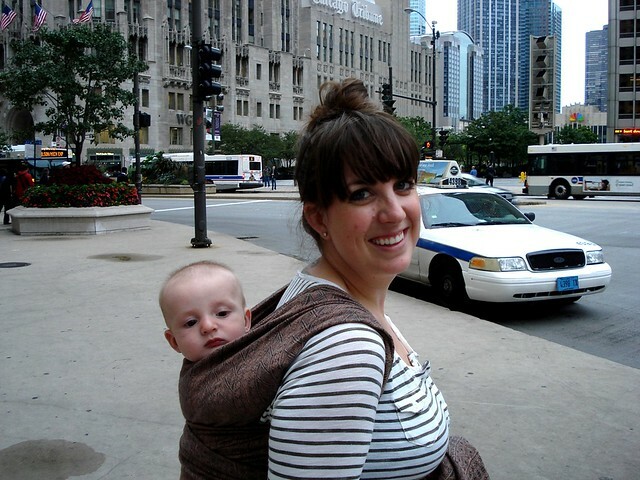 Ring slings are a fast and comfortable way to carry your baby. 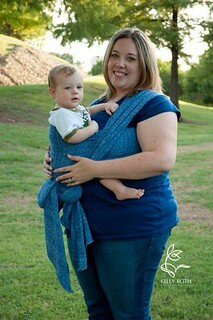 Ring slings come both padded and unpadded. 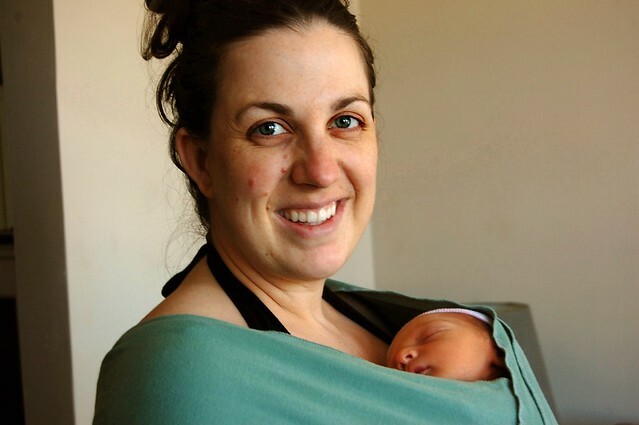 I’ve heard that unpadded is preferable for plus size mamas as you get a better range of adjustability and fit… but I’ll say I believe that to be true for all sizes of ring sling users. I’m just not a fan of a padded shoulder. The padding can interfere with the simplicity that makes a ring sling so user friendly. 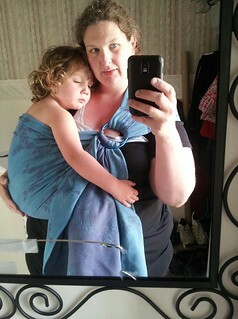 There are lots of places to buy Ring Slings, but my favorite is Sleeping Baby Productions. Her site is not just a store, but a wealth of knowledge; she has sections on safety, how to use your sling, and to dispel and lingering doubt that plus sized mamas can’t wear their babies, and entire FAQ section on sizing. Take note that her max size doesn’t say “up to” it says “over” 270 lbs and 6’2″. I can speak to her outstanding level of customer service, if you are nervous about ordering the right size email her and she will work with you to make sure you have all the info you need before making a decision. She is a working mom and occasionally closes up shop for a few days to catch up on orders, be patient, she’ll open again soon. The pros and cons for stretchy wraps are similar for baby wearers of all sizes; they are very long, so length is not an issue, but they are very hot and because they need to be tied quite tightly can dig on the sides in a not so comfortable way. I feel much the same way about stretchy wraps (like the Moby) as I do about the Ergo, I love the wide availability and ergonomic design, but we can do better. I try not to be too biased when recommending wraps, obviously woven wraps are my favorite carriers, but I know that may not be true for everyone so I try not to gush too much. 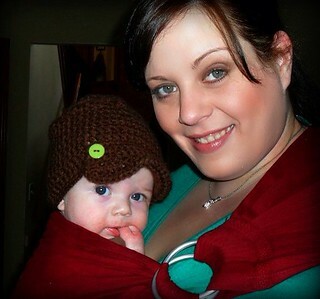 But I really believe that woven wraps are among the most comfortable- and customizable- carriers available. This is because they come in a variety of sizes and can be tied in dozens of different ways enabling almost anyone to use each size differently. Woven wraps can be intimidating to new wearers because it is a skill, there is a learning curve. I was so intimidated when I started. But by choosing the right carry to start with and practicing at home over a couch or bed until you feel comfortable is a great way to start. 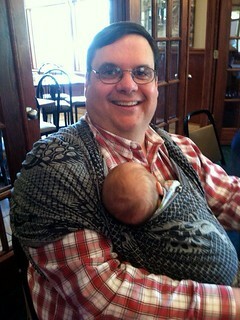 The first carry I learned was the Front Wrap Cross Carry, and I recommend it to all new baby wearers as a great first carry to learn. 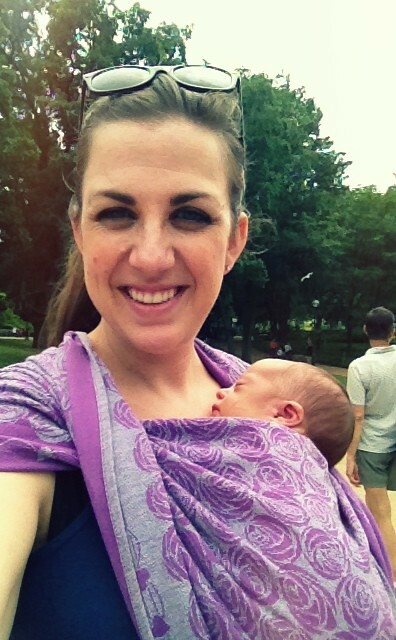 There are several North American retailers who sell woven wraps; Birdies Room, Marsupial Mamas, Woven Wraps.com, and Purple Elm Baby are four I’ve had great experiences with. I’m also happy to recommend buying used, there is a good online forum here for buying used wraps. And finally, because I’m not a plus size mama myself I can only pass on what I have learned from my friends who are, I’d like to invite any mamas and dads with experience or tips to comment and share your knowledge. 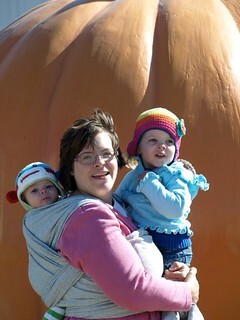 Thanks to Malia, Shannon, Andi, Jackie, Jessica, Rebecca, Christi, Mike and Kasey for the great babywearing pictures. I am not ignoring your requests for tips and advice regarding baby wearing, but I want to give your questions the attention they deserve. To that end I’m preparing some material on baby wearing to share my passion with you, but until then I want to share some quick links to other wonderful sources of information. This site requires a free registration to participate but it truly is the most comprehensive baby wearing guide in english available on the internet. It is a community forum that brings old and new baby wearers together to share knowledge, resources and even entertainment. Meredith’s blog contains a tremendous amount of information, it was my guiding light when I was new to baby wearing and trying to make some big decisions like, what kind of carrier to try and where to buy. 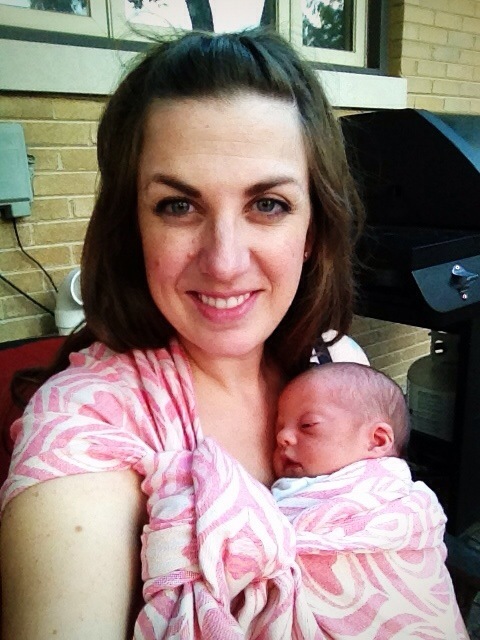 If you find The Baby Wearer overwhelming or confusing try Meredith’s blog. 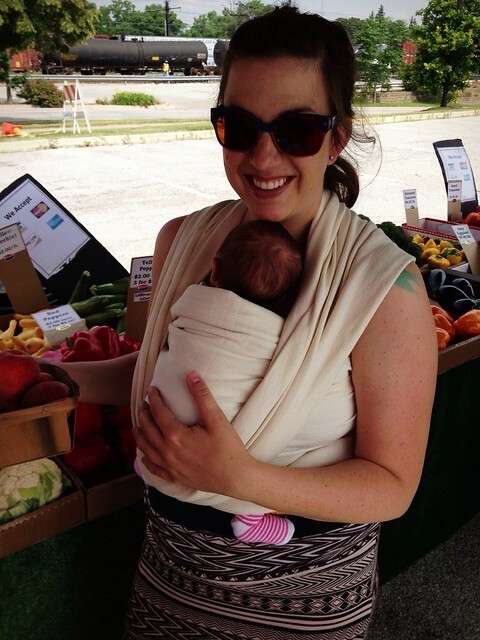 Her Babywearing Guide is a fantastic place to get started! For those of you looking to nurse in a wrap, I’ll definitely do some tutorials, but in the meantime check out www.wrapyourbaby.com breastfeeding posts. A word on Facebook baby wearing groups- I am a member of several babywearing groups, and as an experienced wrapper (and wrap addict) I find it great fun talking wraps and wrapping in my free time, but I do not recommend these groups to new wrappers as I find myself correcting bad advice often. If you must join a Facebook baby wearing group, take any advice you read there with a grain of salt, and go to The Baby Wearer for answers to your questions and trustworthy advice. 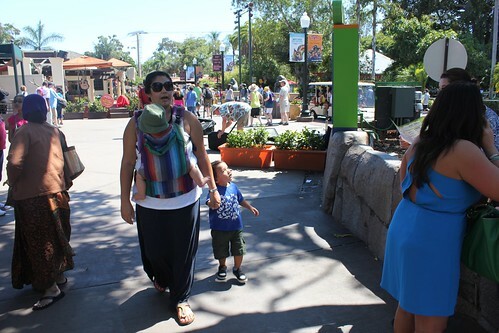 I discovered babywearing when I was pregnant. I didn’t know where to start, and to be honest, I had no idea there were so many options. I saw Bjorn carriers in the store and thought it seemed like a novel idea. I mentioned it to a friend, an experienced mama of 2 who was kind enough to risk an awkward conversation and urge me to look at other options, she extolled the virtues of ergonomically correct babywearing, asked me to do some more research before purchasing a “crotch dangler” and gave me the stretchy wrap she used with her girls. 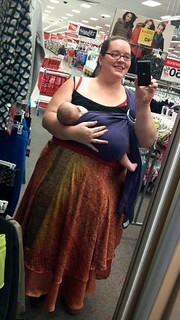 Around that same time, I met a girl online who was all about baby wearing; she used woven wraps. I thought it was the most remarkable thing, but I was convinced it would be too complicated to learn. I already had a stretch wrap and an Ergo, and I didn’t see how I could possibly learn to wrap on my own. When Hen was born I was nervous, but I learned how to use the stretchy wrap and the Ergo, and I knew there was something to this babywearing. For one thing, Henry was just not a snuggle-y baby; from day one he has always been a bit particular about how he is held, and snuggling just made him fussy. That is, until he was wrapped up, then he settled down and snuggled up, and most often fell right asleep. I got more comfortable with the idea of wearing him, in fact Hen has been in a stroller only once, when he was brand new and I had no idea what I was doing yet. I still thought wrapping looked too complicated, but a ring sling? Maybe I could handle a ring sling. 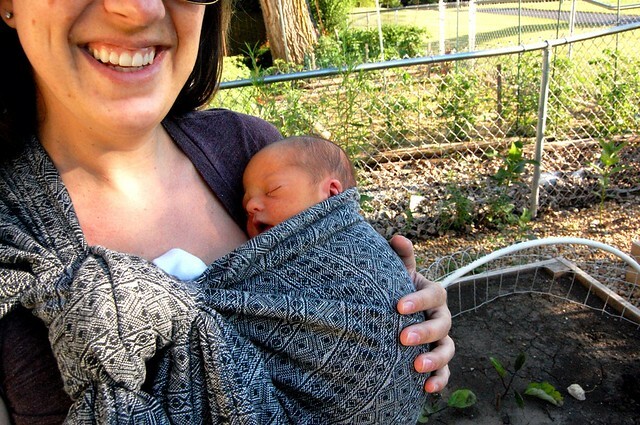 Babywearing can be expensive, but it can also be very affordable. I bought my first ring sling from Sleeping Baby Productions for only $27. Wearing Hen in the ring sling felt like a second skin, and gave me the courage to jump in to wrapping. I am so glad I discovered wrapping. Using a woven wrap gives me a really secure, truly hands free wrap that I never quite felt with the stretch wrap or the ring sling. I love that there are so many options available, and although I’ve bought lots of wraps, just one wrap is really all you need. 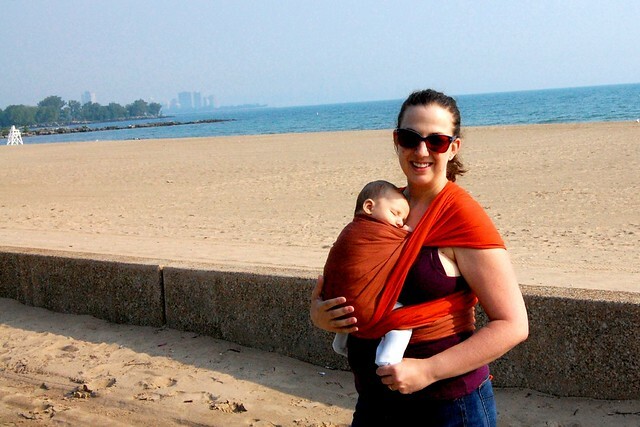 There is a great forum, www.thebabywearer.com, where BW mamas buy and sell their used wraps (and ring slings, and mei tais, and SSC’s, etc.) and hold online tutorials teaching other “newbie” mamas how to wrap. The most important thing with any type of babywearing is to do your research and make sure the carrier you are buying is safe, and that you are using it safely. Be sure to avoid bag style slings, and always be aware of your baby’s position and breathing. http://www.thebabywearer.com/index.php is a great place to start educating yourself, as is Babywearing International, you can also find a local babywearing group; I connected with a babywearing mama who lives about three blocks away from me! Oh! and that Ergo we bought? I don’t use it, but Josh is the Ergo master! I can’t have all the fun! In the comments section tell me about your babywering experience! I’d love to hear your story!